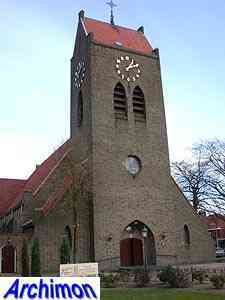 In 1932, the decision was made to found a new parish in the agricultural area between Haaksbergen and Boekelo. 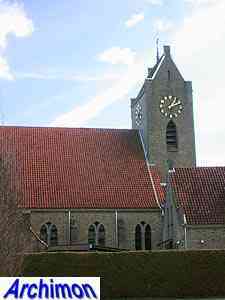 The new church was to be the start of a new village, called De Veldmaat. 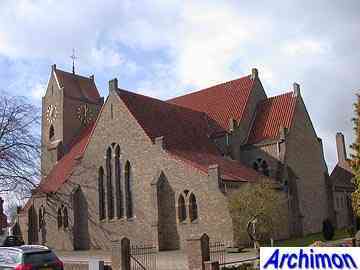 Architect J.H. 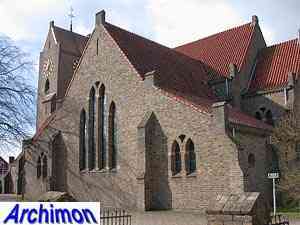 Sluijmer was commisioned to design the new church. 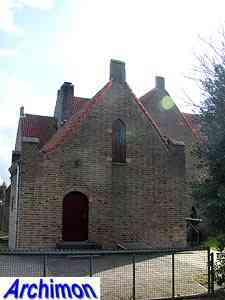 A year earlier Sluijmer had assisted architect H.W. 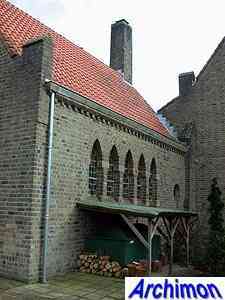 Valk at the construction of his church in Haalderen (G) while the two in conjunction had designed a new church in Enschede. This cooperation and several publications about A.J. 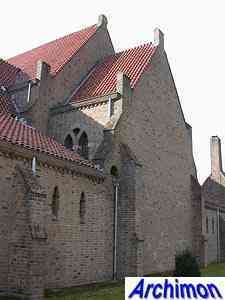 Kropholler's churches changed Sluijmer's style for village churches, shifting from neo-Gothic to Traditionalism. 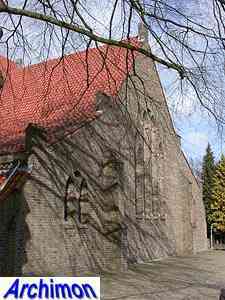 The church is built in a Traditionalist style related to that of the Delft School. 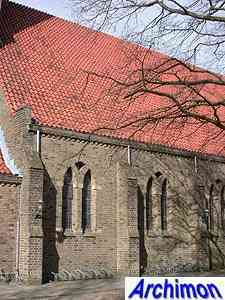 Inside, all parts of the church are covered by brick vaults. 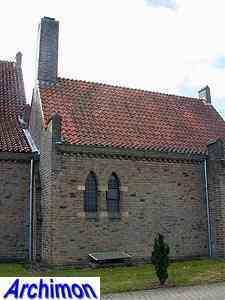 On top of the tower, instead of a spire, is a saddleback-roof, a reference to Friesland, the native province of the parish's first priest. 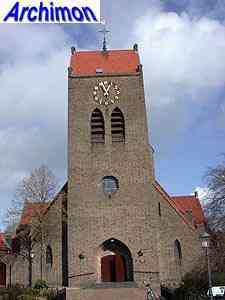 For the construction of the church a big L-shaped plot of land was available, which also would contain the presbytery and a cemetery. 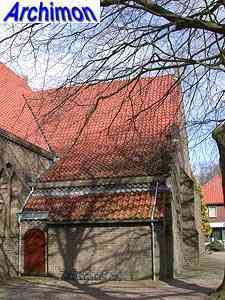 The church was not oriented but instead has its choir aimed towards the north-east, with the front and the sides of the church running parallel with the adjacent streets. 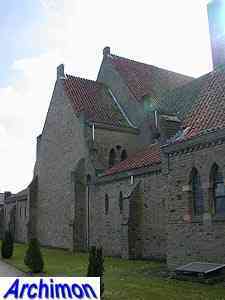 It is a three-aisled cruciform pseudo-basilica with an unusual T-shaped ground plan, with a wide centralizing nave, an even wider and a bit lower transept and an undeep, straight choir. 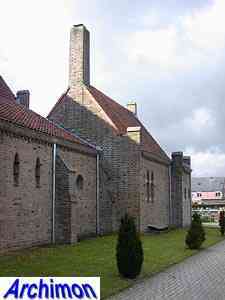 Oddly, the obvious opportunity that the T-shape of the building provided to create a centralizing ground plan was not taken; the benches in the transept were not aimed at the altar but face the north-east instead, thus forcing the people inside to either look at the wall or to turn their heads. Later, this was corrected when the benches were turned 90 degrees. 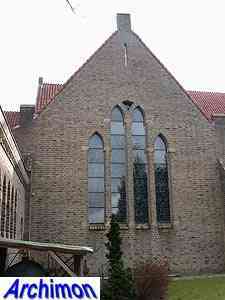 The church is illuminated by windows in the walls of the side-aisles and transept-arms. 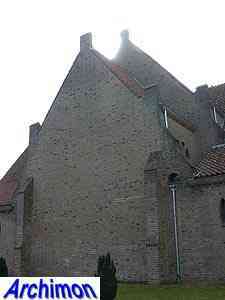 Because the vaults are based on rather short columns, the windows of the nave had to be positioned quite low. Many of the choices Sluijmer made were criticised by J.A. 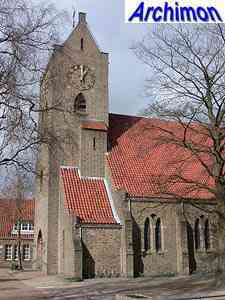 van Dongen in his appraisal of the church in the catholic architects' magazine R.K. Bouwblad, although he did compliment Sluijmer on his technical and esthetical skills.